Adventures are part and parcel of life. They give one a sense of euphoria which sometimes acts like a stress buster and helps in reviving a person from a monotonous routine. This is exactly why many people indulge themselves in holidaying in tourist locations and trying out different kinds of water sports. Dubai is deemed to be a growing spot for vacationists who love to spend some quality time learning a new sport. 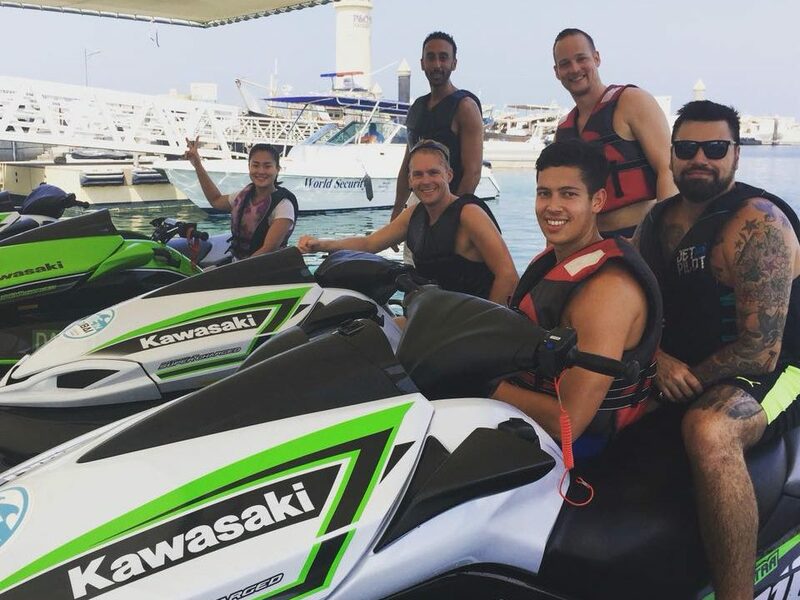 In spite of Dubai being a desert, the city has attracted many tourists to attempt water activities like Jet Skiing. It is indeed a pleasurable experience to Jet Ski. However, it is important to take precautions so that you have a safe ride. 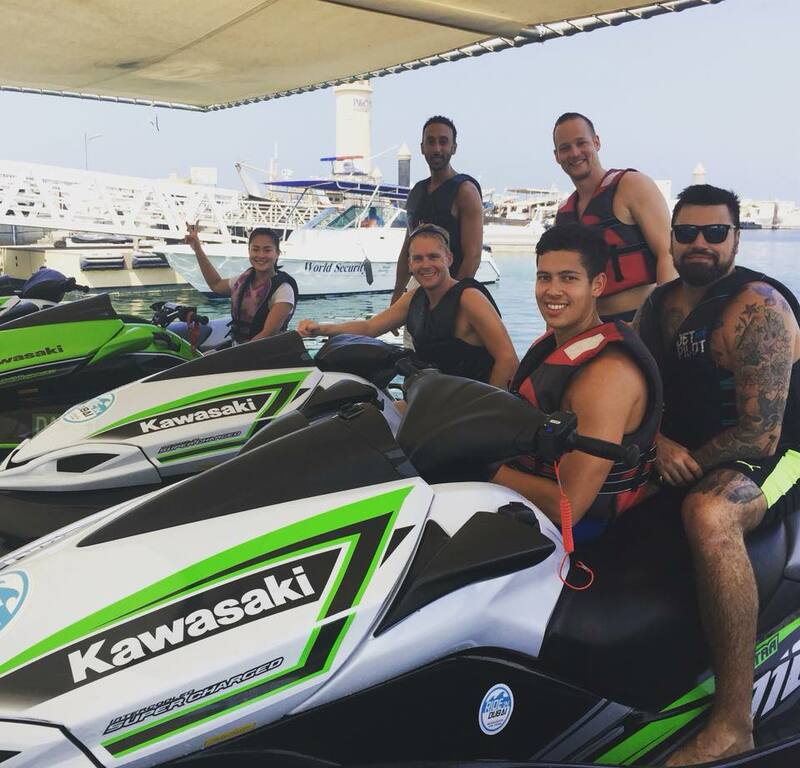 As tourists, it is obvious that you might not be fully aware of the place, hence, choosing any random Jet Ski rental outlet in Dubai could definitely be risky. It is advisable for you to understand the rental outlets before you decide to do any water sporting activity. At the same time, it is necessary for water riders to compare and contrast the package deals provided by different rental companies. This could be judged on both the quality of the ride as well as the price. We, at Ride in Dubai provide great services with attractive offers. For instance, every Tuesday ladies are given a 20% off on all water activities, and on Wednesdays, everyone gets to avail a 30% discount on Jet Skiing which could definitely be advantageous on saving money while having fun. However, it is important to note that more than the price of a ride, the quality of it should be highly maintained with professional help and equipment. Even though we give additional offers and discounts, our main priority is to offer excellent services in terms of safety and equipment. This is one of the factors that is going to make the riders feel confident, resulting in an amazing experience. Before you indulge in Jet Skiing, ensure that all the gears are intact and try taking in as many as instructions as possible. 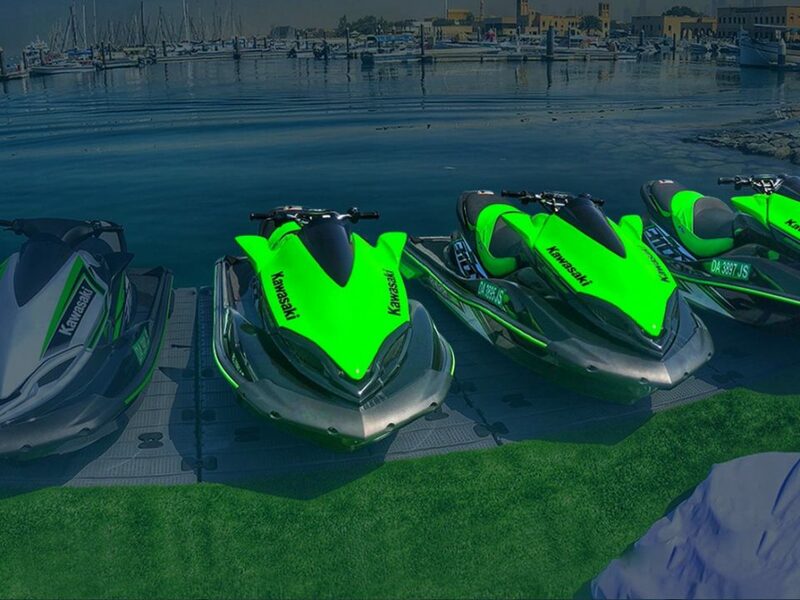 This would motivate the riders and not let them get nervous while Jet Skiing. 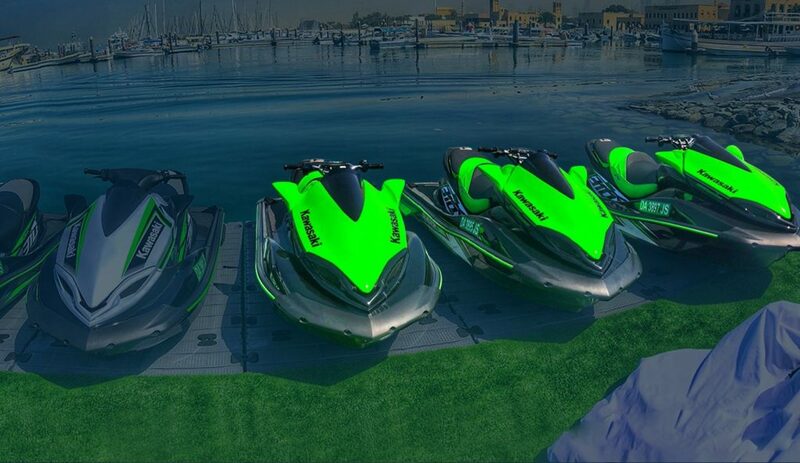 Furthermore, while researching for Dubai Jet Ski rental packages, look for some additional services. For instance, at times, in the process of taking photos, people either lose their devices or lose balance which might be extremely risky. In order to avoid such obstacles, we offer additional services where our helpers could take your pictures while you are enjoying your ride. 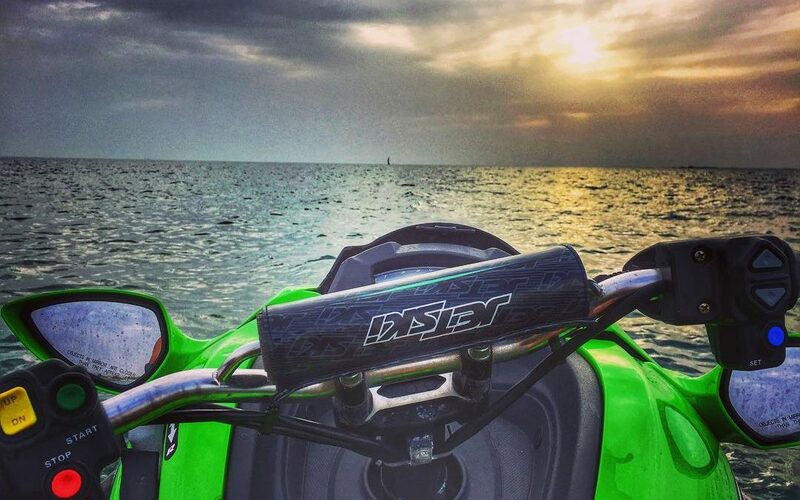 In this way, you do not have to bother clicking pictures while Jet Skiing. Lastly, look for some stunning locations where you would like to Jet Ski. We believe that some of the most beautiful locations where you can Jet Ski is in Palm Jumeirah or alongside Burj Al Arab. In this way, you could have a splendid time Jet Skiing while enjoying a gorgeous sunset or the skyline. 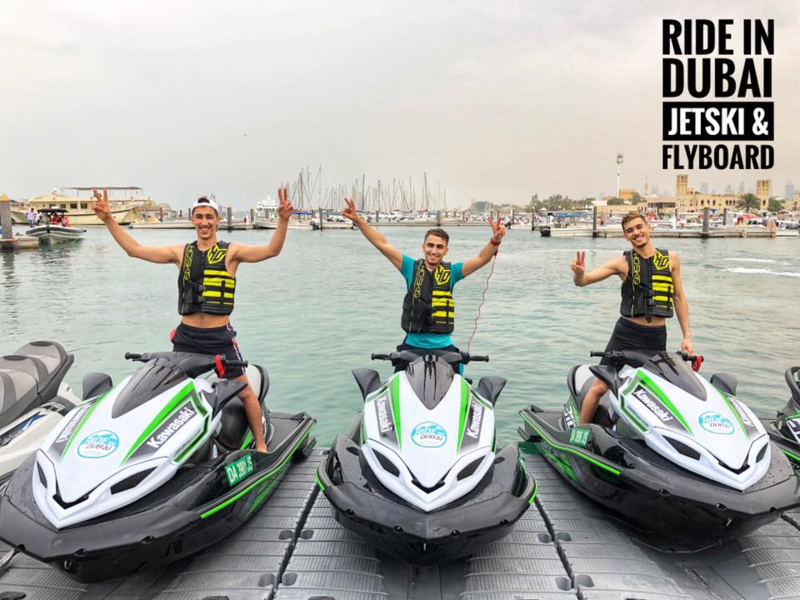 Ride in Dubai could serve as an ideal rental outlet with professional help, additional services, and quality gears for the most popular water sports in Dubai – Jet Skiing.